Description This Commerce, Georgia hotel has free internet access, non-smoking guest rooms and free breakfast. This hotel is also pet friendly. 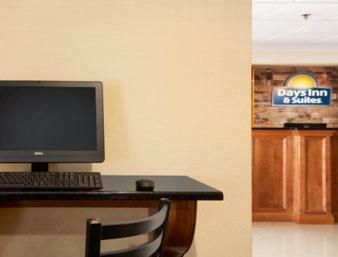 Freebies like Wi-Fi and breakfast in a location near outlet shopping mean comfort and convenience for our guests at the Days Inn Commerce. The two-story hotel has 61 rooms featuring free Wi-Fi cable TVs and coffeemakers. Local calls are free and non-smoking rooms are available. 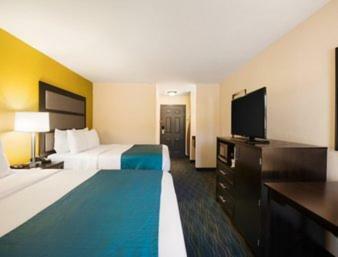 Guests can fuel up for a day of bargain-shopping at nearby outlet stores with the free continental breakfast. The hotel's front desk is open 24 hours a day. The hotel is located just off I-85 in Commerce at U.S. 441 about a mile from the Tanger outlet mall and about a mile-and-a-half from the Atlanta Dragway. Guests can walk to shopping and restaurants within five minutes. Commerce's downtown area is less than three miles away. Go hiking and fishing a half-hour away at the secluded Victoria Bryant State Park. The University of Georgia in Athens is a half-hour away too. Hartsfield-Jackson Atlanta International Airport is approximately 80 miles from the hotel. 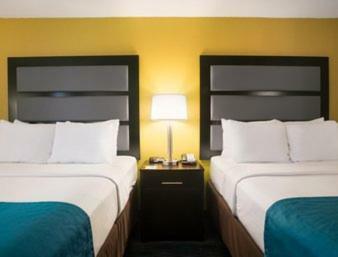 Add Days Inn & Suites By Wyndham Commerce to your free online travel itinerary.